Geoffrey has a wealth of experience in operations and inventory management. Since joining the Operations division at Busara in 2016, he has been instrumental in helping project teams achieve their goals from an operational perspective. He has also been pivotal in developing policies to help operationalize processes related to inventory management. 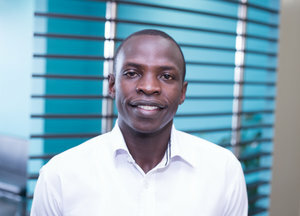 Previously, Geoffrey served as a Senior Field Officer at Busara.